Been wanted to try this long time ago but it’s always full or with a queue. 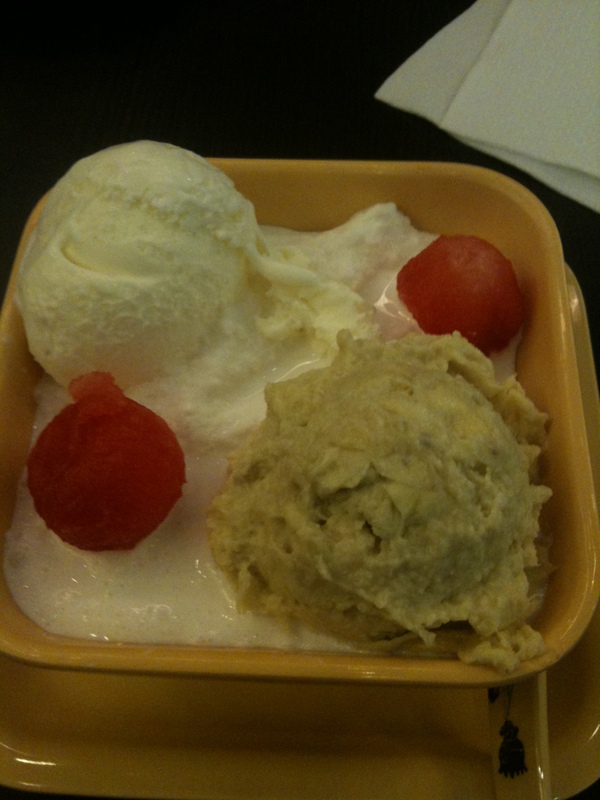 Finally had a chance when Dear and I went for our recent pahtoh @ Vivo. 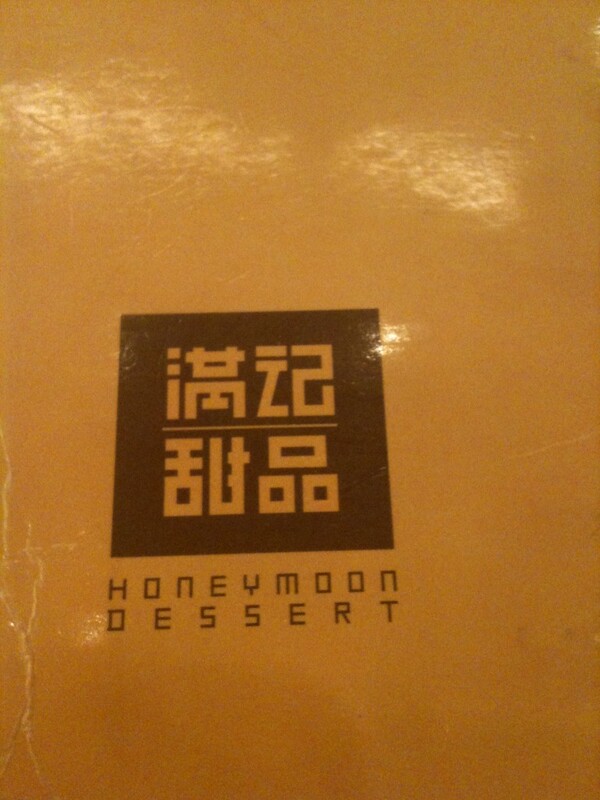 Dear ordered the black sesame with beancurd. It’s so-so to me only. On a separate occasion, I brought my mom to the same dessert place @ 313 and I concluded to myself that their hot desserts are not nice. 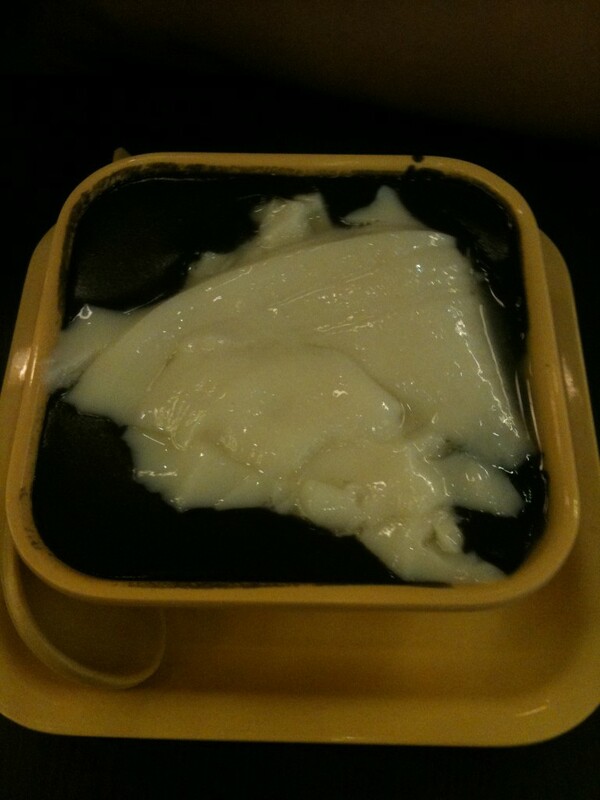 Mom ordered the red bean with beancurd and it’s not to both our liking. But their pan-cake is really nice! 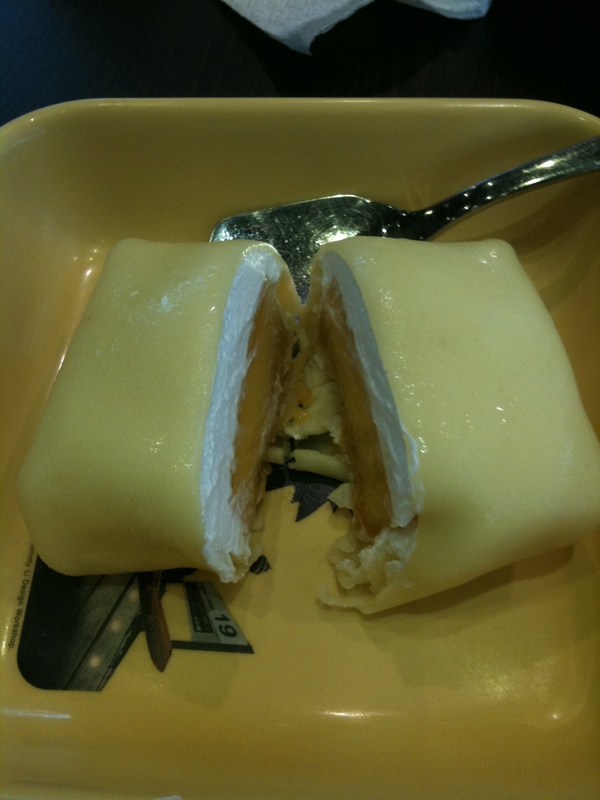 Ordered the mango pan-cake and it’s yummy!